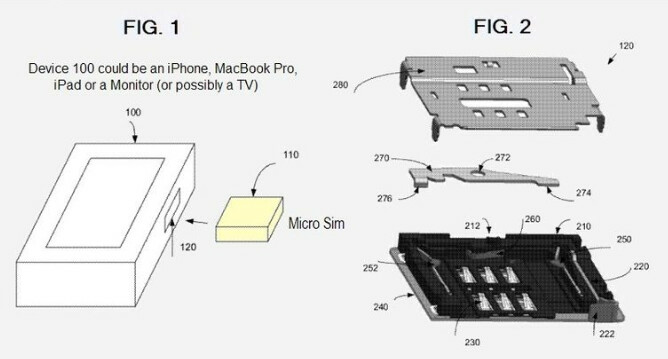 Apple has received a patent from the USPTO and while the official title is for a Mini-SIM card connector, the technology involved will work with a SIM-card, Mini-SIM or a Micro-SIM card. Actually, it will work with any sized SIM card. The connector allows for easy insertion and removal of the SIM card and is resistant to any damage that could be caused by an incorrect insertion of the card, and provides for "reliable mechanical performance" of the connector. The patent was originally filed by Apple in the third quarter of 2010 and was credited to Zheng Gao, Benjamin Rappoport, and Steve McClure. The main goal was to provide a connector that could not get damaged by the incorrect insertion of a SIM card. For example, let's say that someone inserts their SIM card in backward and needs to remove it. The patented technology makes it easy to remove the SIM card because it prevents the connector from getting damaged when the card was inserted improperly in the first place. Using a plunger system, the card is safely removed without any damage being dome to the connector. For those keeping track, the patent awarded to Apple is 8,337,223.
apple should make their slogan "A new patent a day keeps the competition away". An actual, valid patent from Apple that's not stolen or obvious, or silly like shapes or colors. IT'S A CHRISTMAS MIRACLE! What is this doesn't any make scenes? Why do you use the patent figure created by Patently Apple without giving them credit? 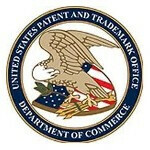 That's not the way the USPTO lays it out. You just lifted the graphic and took credit for it. Not cool. NIce to see Apple that the The European Telecommunications Standards Institute chose Apple's new 4FF nano-SIM format. Check the sources. Patently Apple is given credit. Alan F.
It's funny seeing everyone mad Apple got awarded a patent....Blame who awarded them it..not them for asking!